Most people are familiar with Intel’s unmatched performance in processor innovation. In this new age of data-centric innovation, the ability to connect and communicate data is ever more critical. This is why Intel has extended our silicon foundation to meet the needs of the datacenter network. Today at Intel’s Data Centric Innovation Summit, I had the opportunity to discuss what I see as a renaissance of data center connectivity. In this new era, cloud providers, communications service providers, and enterprises are all fundamentally changing their approaches to network infrastructure in order to deliver high performance across distributed compute systems. Network connectivity is the backbone of modern data infrastructure, and Intel’s connectivity strategy reflects its criticality. Every day, more and more data is moved into, across, and between datacenters—resulting in reshaped network requirements. As both connected edge devices and cloud adoption grow, customers are evolving their architectures to optimize for high bandwidth and low latency—thereby ensuring faster communications to scale system performance. Network solutions that deliver this are truly essential to ensuring a smooth, consistent experience for system end-users—regardless of which server or datacenter may hold their data. Computing power is vital, but communications fuels the engine with data. Intel’s Datacenter Connectivity strategy provides end-to-end capabilities to meet our customers’ data movement and network infrastructure needs. Our portfolio delivers complete connectivity solutions. We are established leaders in ethernet and fabrics: Our industry-leading ethernet solutions, already the foundation of most data networks, and our high-speed fabric (Intel® Omni-Path Architecture) enables clusters of nodes to tackle issues of vital importance, like genomics analysis for cancer research. We’re also truly disrupting datacenter networks with Intel® Silicon Photonics, the ground-breaking technology that can move data at lightning speed across massive data centers. Intel® Ethernet Network Adapters, Controllers, and Accessories enable agility within the data center to move data efficiently and cost-effectively. More than 30 years of innovation, comprehensive compatibility testing, and worldwide availability have made Intel® Ethernet products customers’ top choice for server network connectivity. At the Summit today, I was proud to disclose our new SmartNIC product line and its first product, code-named Cascade Glacier. As compared to foundational NICs, SmartNICs provide more flexibility, functionality, and scalability to accelerate workloads, such as virtual switching, storage, and network security. Customers using SmartNICs can take advantage of much more flexible configuration and programmability than can be achieved using foundational NICs along with much larger flow tables. Cascade Glacier is especially exciting as it is first SmartNIC ever to support VM live migration without requiring special drivers. Cascade Glacier is sampling now and will be in production by Q1’19. 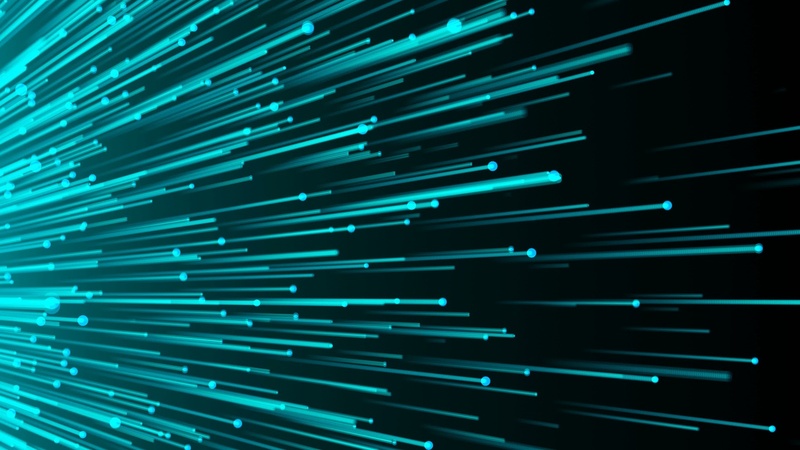 In order to scale bandwidth and remove network infrastructure constraints, cloud service providers, like Facebook and Google, are looking for ways to achieve higher-speed connectivity in a power- and cost-effective way. Intel is already a leader in silicon photonics technology, which is a combination of two of the most important inventions of the 20th century—the silicon integrated circuit and the semiconductor laser. With this combination, we integrate light onto Intel’s silicon platform—utilizing the bandwidth and reach of optical connectivity on the scale and technology capability of silicon. Intel® Silicon Photonics can move data at lightning speed across these massive hyperscale data centers (in some cases, these datacenters span the size of eight football fields). Intel® Omni-Path Architecture (Intel® OPA) is our high performance fabric solution for node-to-node interconnect. I am truly really excited to see that Intel® OPA is being utilized in 50% of 100Gb nodes in top 500 supercomputers in the world. Intel® Omni-Path Architecture fabric enables the massive compute that helps scientists and researchers solve some of today’s toughest challenges. As compute becomes ever-more distributed and data traffic continues to grow, having the right end-to-end connectivity strategy is increasingly critical. With our leading silicon foundation, customer focus, and unmatched ecosystem, Intel is in a unique position to innovate and deliver scalable, end-to-end networking solutions that capitalize on the rapid growth of hyper-scale data centers. I look forward to delivering the solutions that fuel our data-centric future. Learn more about our family of products here. 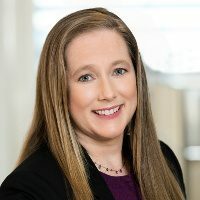 Alexis is responsible for leading Intel's data center Connectivity business, providing differentiated end-to-end data center networking connectivity solutions including Intel® Ethernet controllers, Intel® Omni-Path fabric controller and switch, and Intel® Silicon Photonics modules. Before joining Intel, Björlin served as president of Source Photonics, where she was responsible for global business, product development, operations, and the P&L—growing the business from $30M to over $250M in revenue. She was also a member of Source Photonics board of directors. Prior to Source Photonics, Björlin served as chief optical architect for Zaffire, Inc, a venture-backed DWDM Metropolitan Networks company. Björlin holds a bachelor of science in materials science and engineering from the Massachusetts Institute of Technology and a Ph.D. in materials science from the University of California, Santa Barbara.